Nuance was an American dance music/freestyle group. 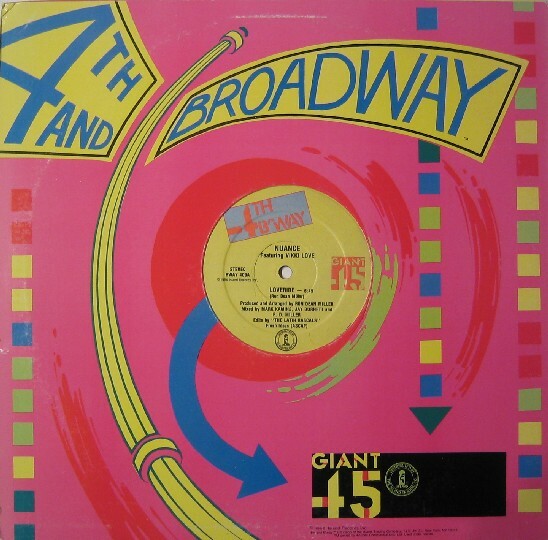 It was formed by the producer and arranger, Ron Dean Miller, and featured Vikki Love on vocals. They charted three hits on the US Billboard Hot Dance Music/Club Play chart in the 1980s, including “Loveride,” which hit #1 in 1985. The same track peaked at #59 in the UK Singles Chart in January 1985. 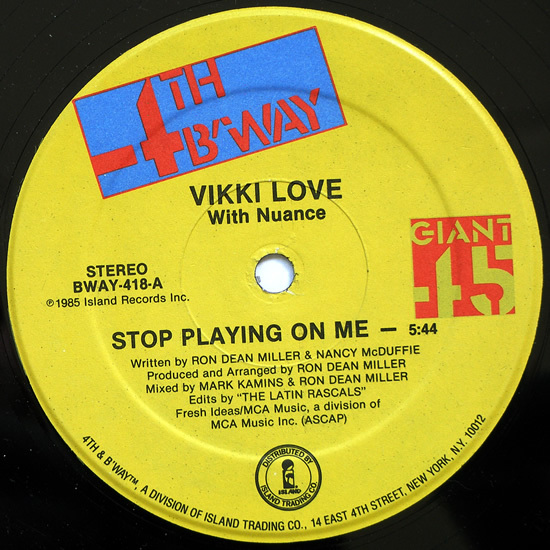 The last single, “Stop Playing on Me” peaked at #14 on Billboard’s Hot Dance Music\Club Play chart in November of 1985 and #36 on Billboard’s Hot Black Singles chart, staying on the chart for 12 weeks. The song peaked at number one on the Billboard Hot Dance Club Play chart for one week. The single did not crossover to the pop chart, but did peak at number thirty-four on the Hot R&B/Hip-Hop Songs chart. “Loveride” was mixed by Jay Burnett and Mark Kamins and edited by The Latin Rascals.